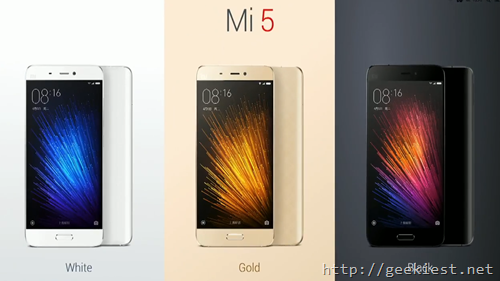 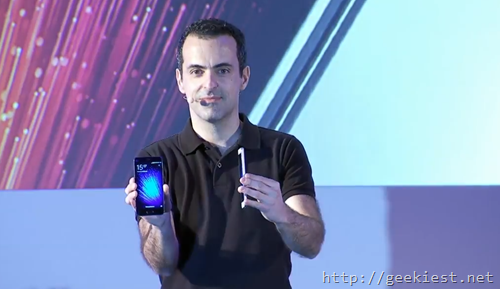 Xiaomi the Chinese Smart phone company announced their latest flagship phone named Mi 5 today. 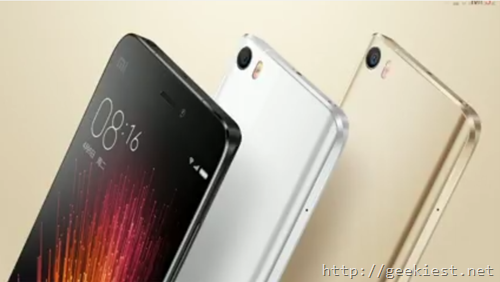 There are 3 variants available for this device Mi 5 Pro and Mi 5 with 64 GB and 32 GB . 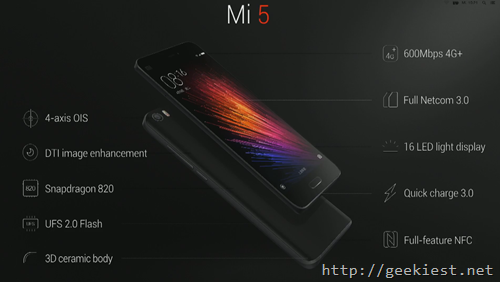 The Mi 5 Pro comes with a 3D ceramic back cover which is much tougher than the 3D glass back covers which other two variants comes with. 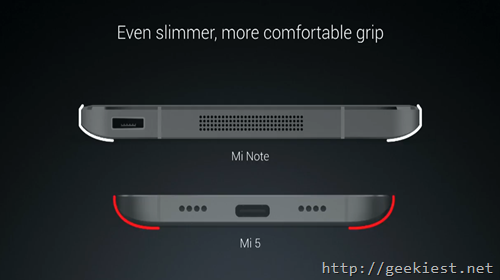 The device will be available from March 1, 2016 for its Chinese users via mi.com and Mi Home. 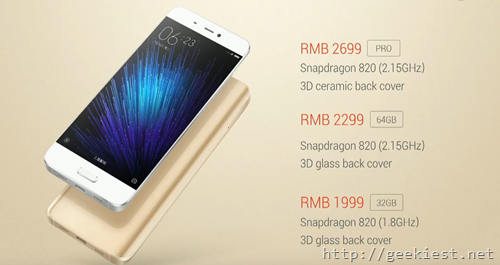 For other countries like India, company do no revealed any specific date, they just sais soon.